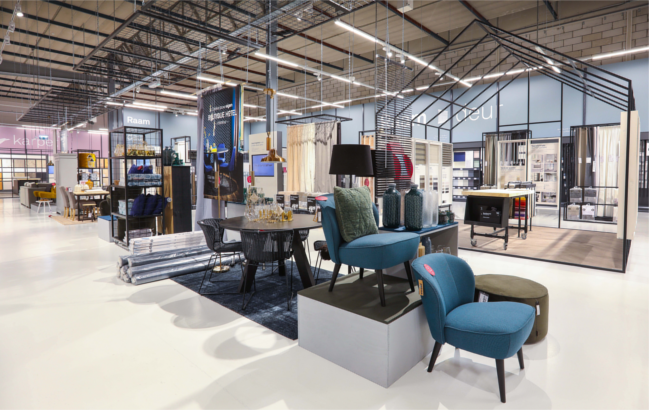 Intergamma, the organisation behind brands GAMMA and KARWEI is the largest DIY (hardware) company in the Benelux region – with nearly 400 locations across the Netherlands and Belgium. 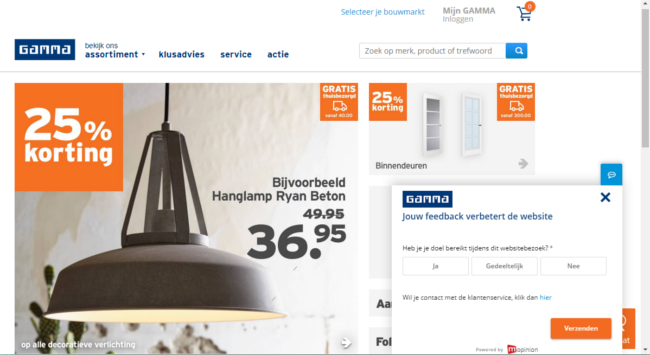 As part of their online vision, Intergamma has set its sights on becoming the largest and best omnichannel retailer in the Benelux region. They knew that in order to achieve this status, two things were certain: the customer must continue to come first and all physical stores, website and mobile apps should be in tip-top shape. This ambition ultimately led to a pilot with Mopinion Feedback Analytics software. Initially, this input from employees was Intergamma’s main reason to use an on-site feedback tool. 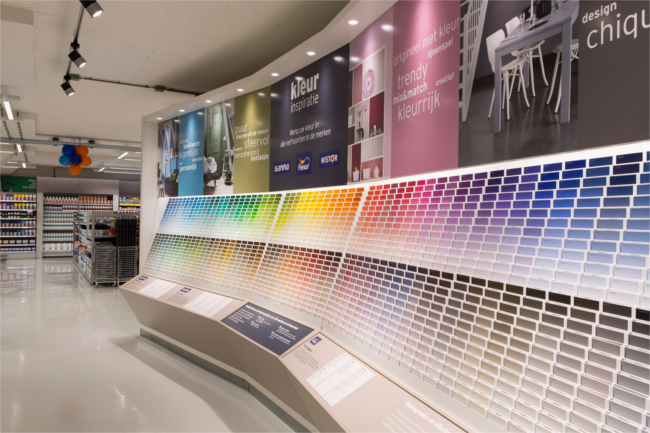 Their employees would submit feedback using the feedback buttons on the in-store web kiosks. Later they discovered that customers were also making use of these kiosks for submitting their feedback. Intergamma’s objective with the pilot was to make a solid comparison between Mopinion and the other feedback tool. He goes on to explain that the outcome turned out to be very surprising. In places where they expected conversions to stay the same or drop, the A/B test showed that the conversions actually increased (significantly)! Intergamma started off using the basic feedback button for capturing passive feedback, before moving onto designing active feedback forms. Van Houwelingen also shares the appreciation Intergamma has with the fact that all Mopinion feedback ‘goes to one place’, and that includes both passive and active feedback. Intergamma also discovered a number of bugs on their websites. ‘Because we collected a large amount of feedback in short period of time, and so many people within the company were able to search through the feedback from their own domain, a number of bugs (that were easy to repair) immediately became apparent. For example, there was a form on our website used for customising a screen door. Visitors were required to enter decimal points into the form, rather than commas, which proved to cause a lot of confusion among our visitors, leaving them stuck in the process. This was something we quickly fixed, of course! ‘My advice is to think carefully about the triggers and in how you formulate your NPS or Customer Satisfaction question. In fact, we did some testing on this ourselves. We added NPS feedback forms in five different places (including a passive form, with exit intent and on the order confirmation page). We discovered that the trigger for the survey had such a strong effect on the feedback we received, whereby we had five completely different outcomes. Determine for which group of customers you want to present the survey to, do this consistently and be aware of the bias. Additionally, do not compare your NPS with other companies, because they have their own form of bias in the score. The most important thing is that the score is a good indication of customer satisfaction for your company. A score you can positively influence through feedback-driven optimisation’. After a successful and gratifying pilot, Intergamma will officially go live with the Mopinion software in November 2018.